Mention Bishan or Serangoon to anyone and I am certain they will be able to give you at least some food places near the respective MRT stations. Talk about Lorong Chuan, however, most would hesitate and find it hard to even think of anything. What people don’t realise is that Lorong Chuan MRT Station is actually right smack in the middle of two popular food spots! One is the stretch of restaurants at Jalan Riang, and the other is a kopitiam at Serangoon Avenue 3. Check out these Lorong Chuan food places the next time you’re in the area! Wimbly Lu is a picturesque cafe best known for desserts. Some must-tries are their Rachel’s Earl Grey Mousse Cake ($6++), Root Beer Float Cake ($6++), and Jey’s Nutella Pie ($6++). 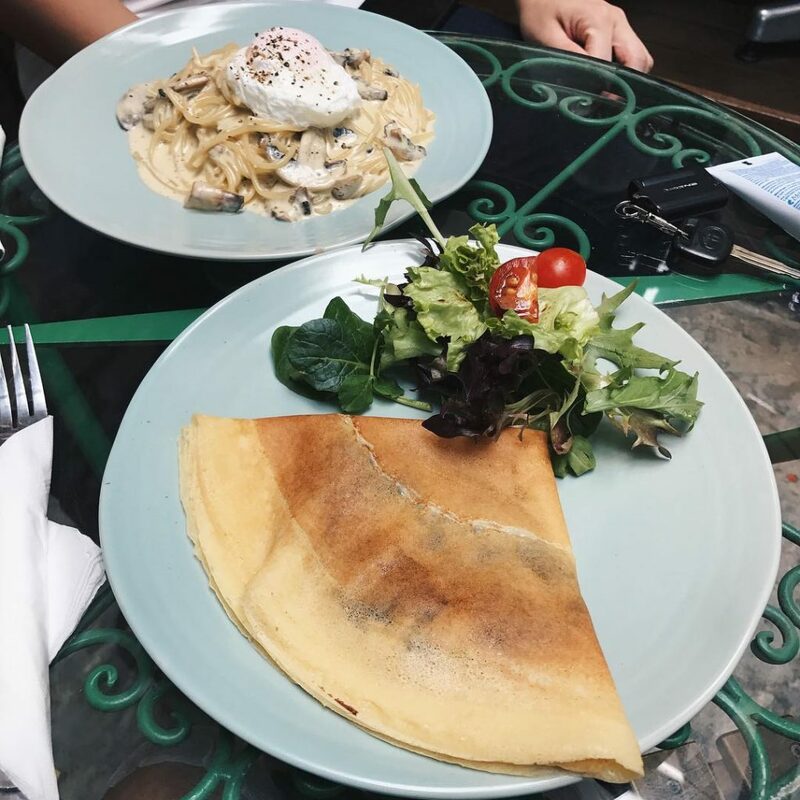 For those who are looking to get a full meal, the cafe also serves up savoury dishes including Beef Lasagna ($15++), Chicken Baked Rice ($11++), and my personal favourite Bacon and Egg Crepe ($10++)! 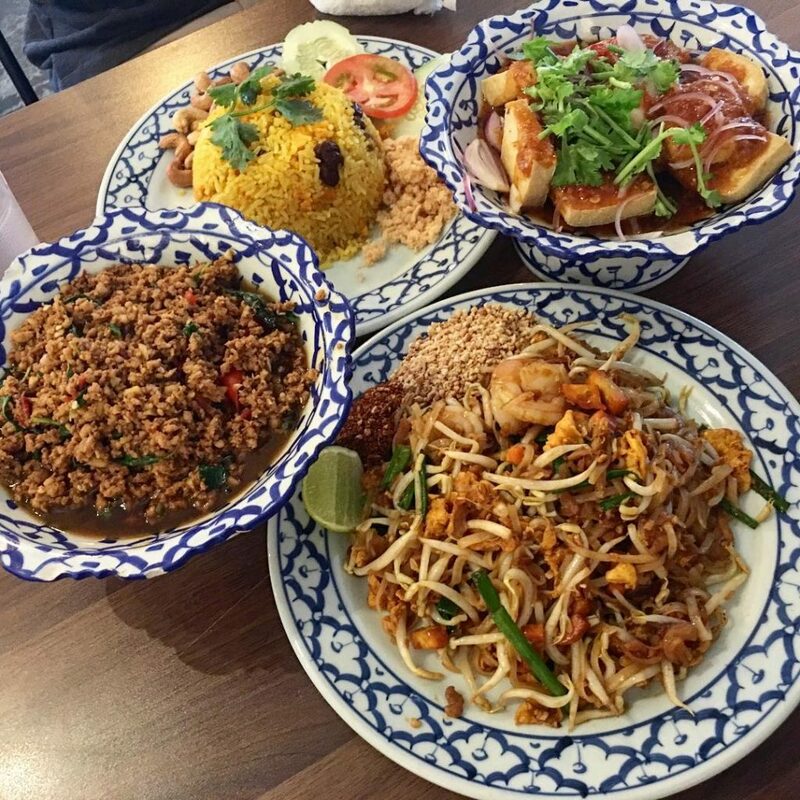 For Thai food, check out Siam Society. From Tom Yum Seafood Soup ($11+/$17+) to Prawn Cake Balls ($12+ for eight pieces) and Phat Thai ($10+), Siam Society offers an extensive menu with many classic Thai dishes. To share with a group, go for large sharing dishes such as Yellow Curry Prawn ($18+), Deep Fried Pork Knuckles ($35+), and Grilled Pork Neck ($15+), which is marinated pork neck served with Issan chilli sauce! 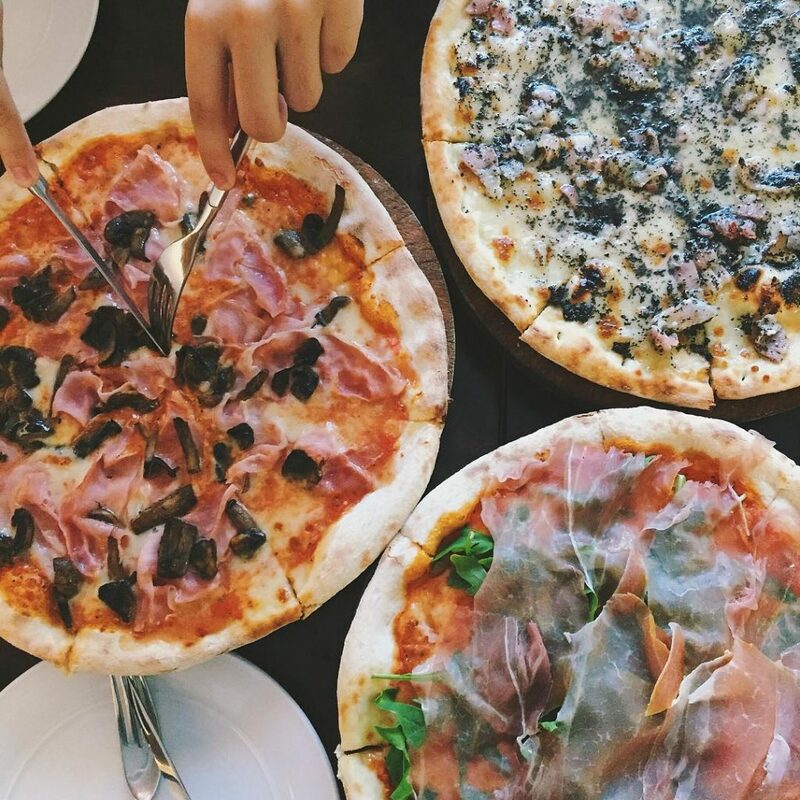 Found along the same stretch as Siam Society and Wimbly Lu is classic Italian restaurant La Pizzaiola. 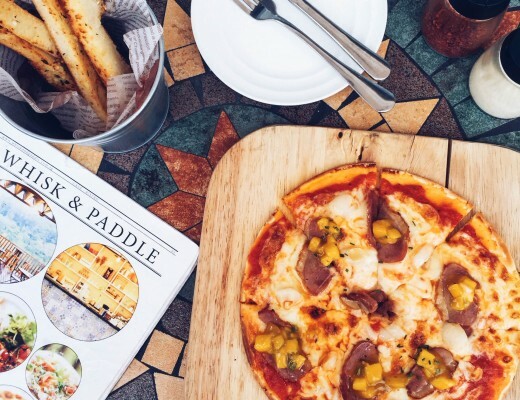 You can find the usual pizzas such as Margherita ($15.90++) and Hawaiian ($18.90++), but their menu also consists of other interesting ones such as Sausage and Blue Cheese ($22.90++) and La Pizzaiola Specciale ($22.90++), which is made of roast beef, shaved parmesan, salad, and truffle oil. Besides pizza, they also serve a wide variety of pasta including Ravioli Truffle ($21.90++) and Fettuccine alla Carbonara ($17.90++) – housemade fettuccine with bacon, egg yolk, and Parmesan. 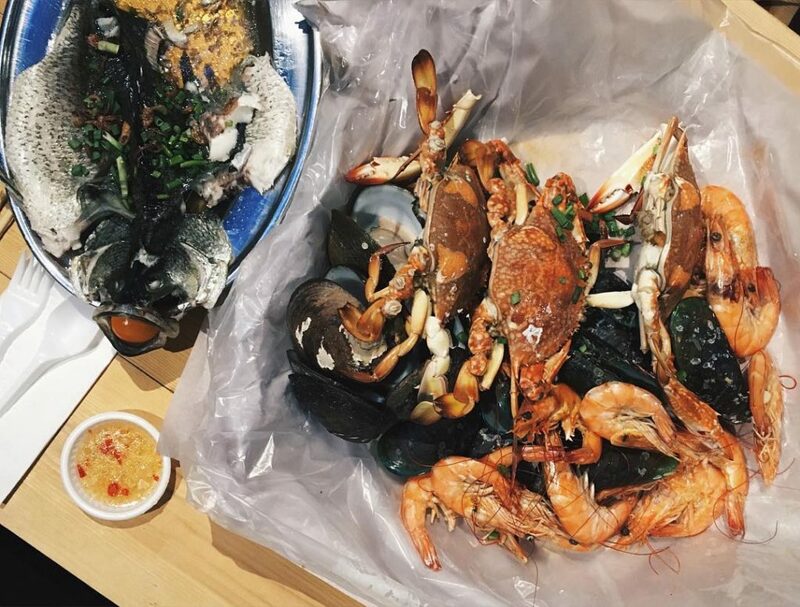 For a seafood feast, Ah Hua Kelong is the place to go. Also a supplier distributing fresh catch to other restaurants, Ah Hua Kelong now has three restaurants to call their own. Some specialities here are Stir Fried Garlic Handpicked Mussels ($9), Famous Cantonese Steam Ah Hua Kelong Seabass ($18), and their 3kg Assorted Steamed Seafood Box ($85). This box typically comes with seafood such as crab, prawns, mussels, and clams but the variety varies from day to day so it’s best to give them a call to check what they have before you head down! Mention Indian curry in Serangoon and most will think of the famous R.K Eating House located opposite Chomp Chomp Food Centre. A hidden gem that also deserves as much rave would be Curry Magic. A must-have here is their fluffy Kerala Paratha ($6++ for two pieces) that is fried in coconut oil! 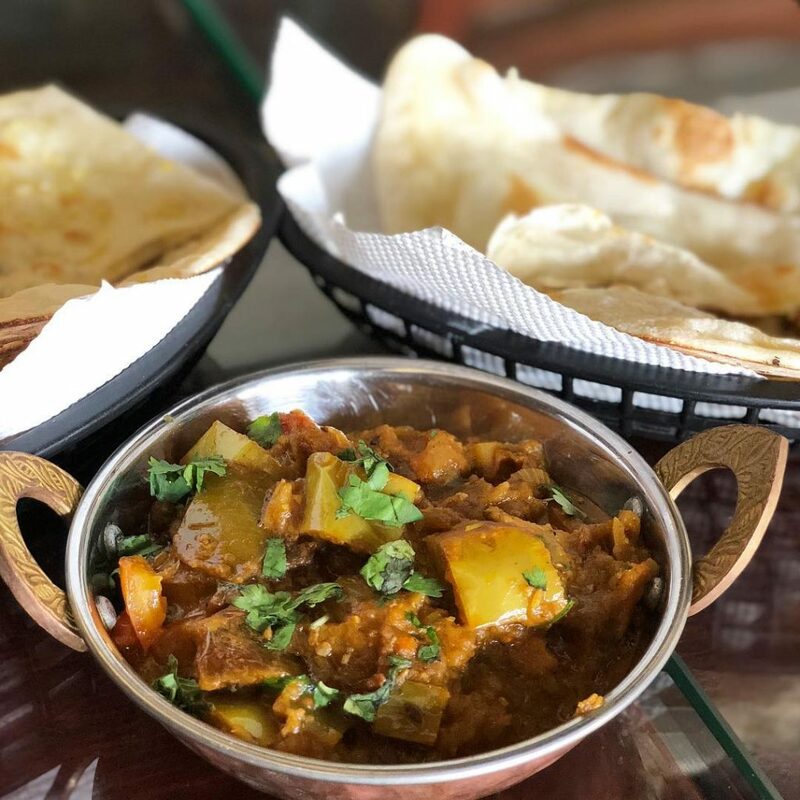 They also have an extensive menu of side dishes including Chicken Tikka ($13++), Kerala Mutton Curry ($20.90++), and Spicy Kerala Fish Curry ($17.90++). Found opposite Zhonghua Secondary School is Tanjong Rhu Wanton Noodle, a hawker stall with only two main dishes – Wanton Noodle (Dry/Soup) ($3.50/$4.50) and Dumpling Noodle (Dry/Soup) ($4/$5). Those who crave for more of their meaty dumplings can also order just the Dumpling Soup ($4). My favourites, however, are their Fried Wanton ($2.50 for eight pieces) and Fried Dumpling ($4 for four pieces)! Located in the same kopitiam as Tanjong Rhu Wanton Noodle, Seafood Palace by 4ge is a zi char stall specialising in seafood dishes. 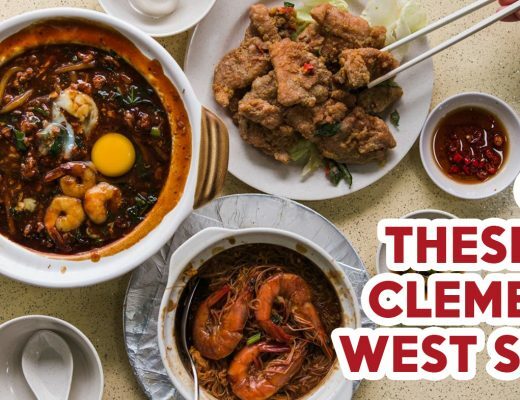 While classics such as Wok Fried Fragrant Rice in Yang Zhou Style ($4.80), Crispy Noodle with Egg Gravy ($4.80), and Mee Goreng ($4.80) can be found at the stall, they also have an extensive menu of fish, crab, and prawn dishes. 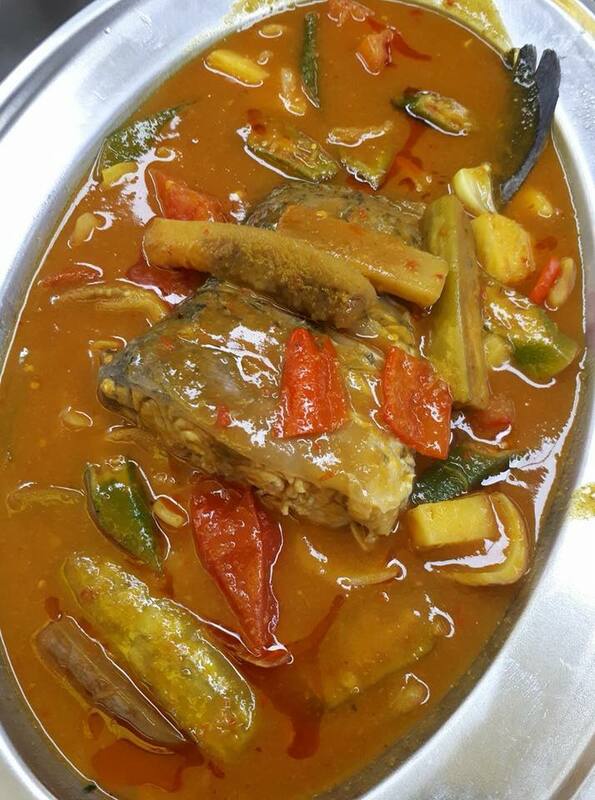 To share with friends or family are some of their more popular dishes are the Indonesian Curry Fish Head ($24.30), Spare Ribs Coated with Honey Sweet Sauce ($11.30), and Prawns Poached with Hua Tiao Wine ($18.30). 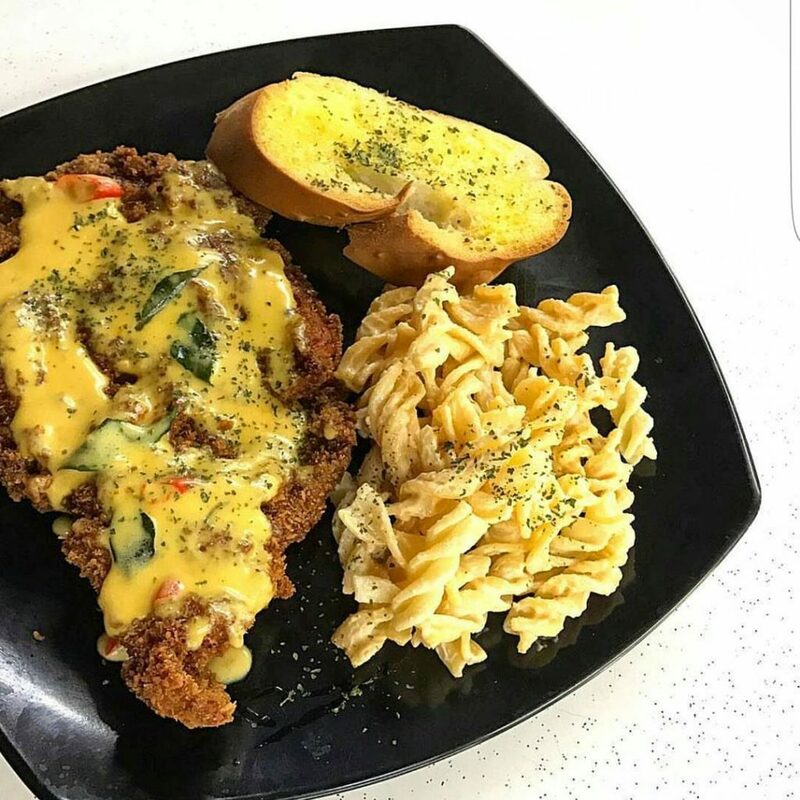 For affordable Western food with a twist, hit up Fusion Express. Some of the more unique dishes you can expect from this stall are Salted Egg Sauce Fried Fish ($8.80), Hawaiian Fried Rice ($3.50), and Giant Bacon Chicken/Beef Sausage ($4). 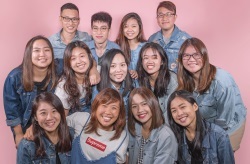 If you are there during lunchtime, you can also catch their promotional dishes such as their Crispy Chicken with Fried Rice ($4.50) and Grilled Fish with Fried Rice ($4.50). Ding Ji Teochew Noodle has several outlets throughout the island, with one located about 750m away from Lorong Chuan MRT Station. A must-try from the stall is their Signature Noodles ($4.50), which is an ‘upgraded’ version of your typical bak chor mee. 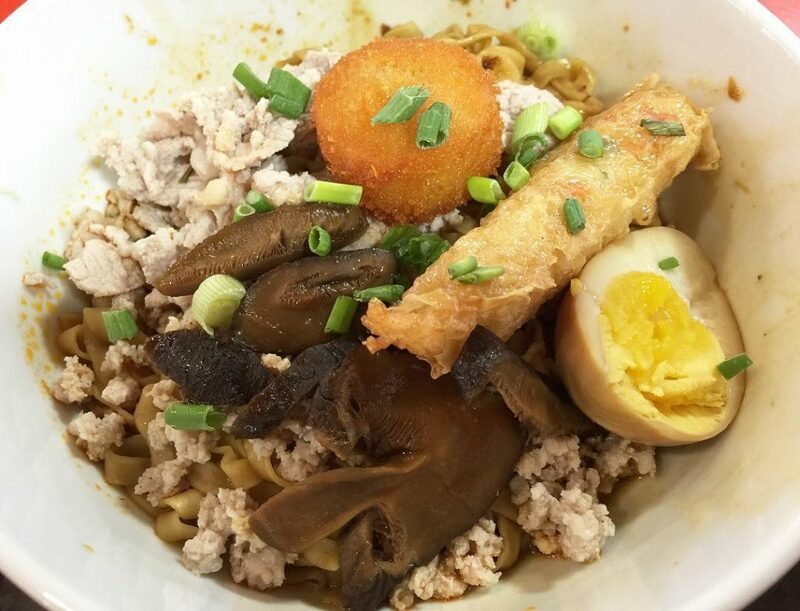 Other than the usual BCM ingredients such as minced meat and mushrooms, this bowl also comes with ngoh hiang, half an egg, and fish cake. For something simpler, the stall also serves Mushroom Pork Rib Noodles ($4.50) and Laksa ($3.50). It goes without saying that you have to get the Prawn Noodle ($4/$5/$6) when you’re at Soon Huat Prawn Noodle House. 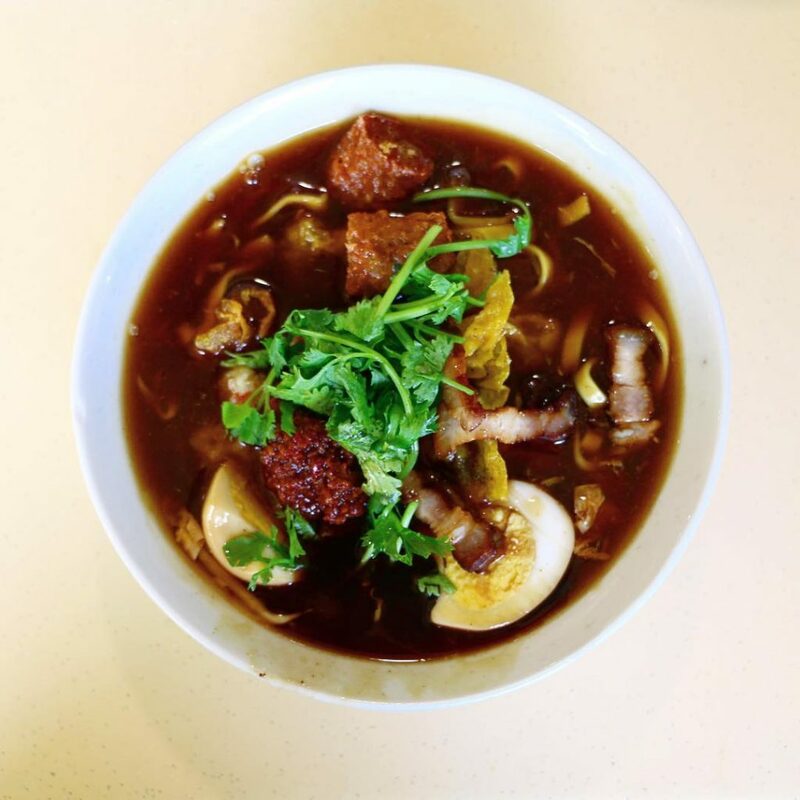 When you’re there, however, another dish that you should not miss out on is their Lor Mee ($3.50/$4.50). Other than drawing praises for the thick savoury sauce, what makes this dish popular is also the generous amount of fishcake, ngoh hiang, and fried wontons drenched in gravy. 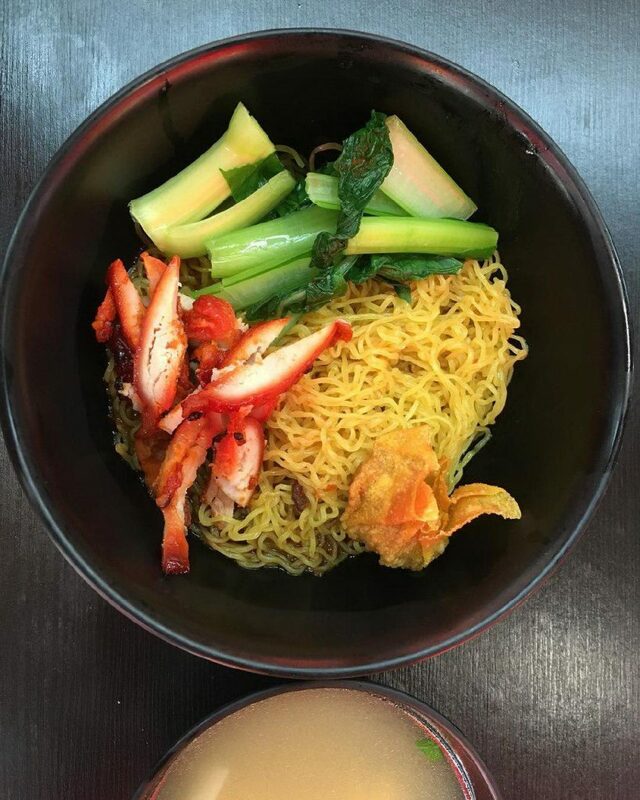 Like most prawn mee places, the stall also serves other variations of prawn noodles including Pork Ribs Big Prawn Noodle ($6/$8/$10) and Pig’s Tail Noodle ($4/$5/$6). 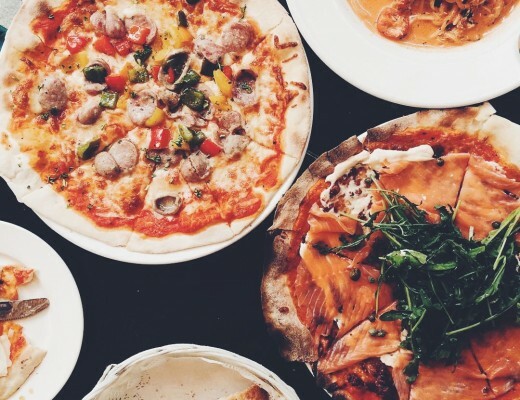 If you are done checking out all the food places in Bishan or are too lazy to travel all the way into Serangoon Gardens just for good grub, drop by Lorong Chuan to check out these eateries! The dream is to travel the world with hummus and bread in my backpack.